University Press of Kansas, 9780700620913, 244pp. In the Supreme Court's 2008 ruling on whether Guantanamo detainees could be barred from U.S. courts, Justice Anthony Kennedy cited the U.S. Constitution, of course. But he also linked the decision to the Magna Carta. Why would a twenty-first century judge, even under the extraordinary circumstances of the "war on terror," invoke a document signed by an English king in the thirteenth century? To address this question, as Robert Pallitto does in this clarifying book, is to probe the history of modern civil liberties, and to explore the process by which judges decide individual rights cases. Pallitto's work, with its insight into competing ideas about interpreting the Constitution--"originalism" versus "constitutional common law"--is of critical importance to our understanding of the nation's founding document. Of far more than symbolic significance, the Magna Carta exerts immediate practical influence on legal outcomes, as Justice Kennedy's opinion demonstrates. To explain this, Pallitto first goes into the Charter's origins, history, and nature, especially its explicit use of "the law of the land" to protect subjects' rights and liberty. The Magna Carta's legacy in the United States reaches back to the nation's founding, with even the colonial charters reflecting its influence. But it is in the Supreme Court's reference to the Charter, spanning the institution's full two-hundred years, that Pallitto finds the greatest impact--most frequently inthe principles of due process (in criminal proceedings) and habeas corpus, but in many other provisions as well. And the weight of this impact registers most deeply and clearly in the development of the constitutional common law--the theory that courts should and do interpret and expand on constitutional texts by reference to tradition and precedent rather than to the drafter's original intent. 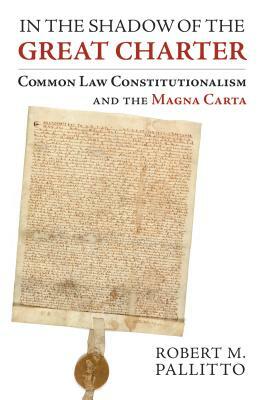 Charting the Magna Carta's influence on the contemporary jurisprudence of individual rights--from the legal thought of the American colonies through exemplary cases over the history of the Supreme Court--this book offers resounding evidence of the evolution and value of abiding principles through which American liberty endures.